Thank you! These two pieces represent two very different sides of my creative ability: dark and brutal vs. light and whimsical. I'd guess that anyone reading the two side by side might have a hard time believing that one person wrote them both. It's gratifying to hear that they both appeal. I should note that Ganymeder introduced her son to creative writing and helps him put his work out on the Internet for people to read and comment upon. Sooner or later, the child welfare people will catch wind of this and put a stop to it. Where will the accountants, lawyers and politicians of the future come from if such efforts are not squashed? Until then, however, creativity abounds. So, the guidelines for this award are that I am to reveal 7 things about myself, and pass the award along. I'm going to take a cue from Alan Baxter and hold off on the list of new nominees. I'll hold this as an option for the future. 1. When I was hit by a car in 1993, it meant a rather unnerving ambulance ride to the emergency room. The doctors assumed that I had massive bleeding in the brain, since one pupil was dilated significantly more than the other. The only thing that kept them from drilling a hole in my head to let the blood out was the fact that I was awake and articulate. It turns out I just have one weird eye. 3. I bought my current watch primarily because it has a slide rule on the bezel. 4. I earned a Sharpshooter & Marksman's rating when I was 14. What does that mean? It means I could put 9 small holes in a quarter from 50 yards away. That makes me deadly in addition to beautiful. 5. Someone once said that talking to me was like talking to a rock star. I didn't even owe this person any money. 6. Even though I'm regularly asked to write funny things and be funny in public speaking situations, I'm always nervous about doing so. 7. There are a great many things that I'm very good at, but which I don't particularly enjoy doing. 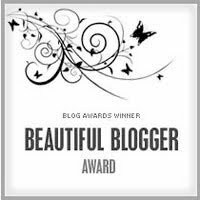 There you have it - the life of a Beautiful Blogger! Feel free to comment on this or any other post. That ambulance ride sounds like it was terrifying! I'm glad they left your head alone! But it was nice to read the other facts about you. I have a soft spot for unusual watches too. The slide rule sounds awesome. I really do love your writing. Ganymeder: The slide rule is fun to use. Multiplication, division, instant conversions, powers, square & cube roots - lots of math fun from twiddling a dial. Laura: What's interesting is that because I almost always do a good job, my audiences would find #6 hard to believe, too. This is a little bit of a peek behind the curtain.